Those who are drawn to the rakish styling and flowing curves of today's Italian-built yachts will certainly find a lot to like in the Novatec E84 Euro, designed by Tommaso Spadolini. True to the Novatec name, the E84 Euro can be custom designed from the inside out to satisfy even the most fastidious buyer's comfort and needs. The E84 Euro's most popular five-stateroom layout offers the choice of any type woodwork, designer fabrics, and custom-crafted hardware throughout. The spacious master stateroom exudes luxury immediately with its king size berth, entertainment center and his and her bathrooms complete with a jacuzzi tub. Even the VIP stateroom is equipped with a built-in vanity for home-like comfort. The main salon incorporates exquisite and modern elements such as a full wet bar, full entertainment center, and soft leather settees along the port and starboard sides. The huge fly bridge offers a sunning pad, lounge seating, bbq grill, wet bar, and even extends over the cockpit for additional shading below. 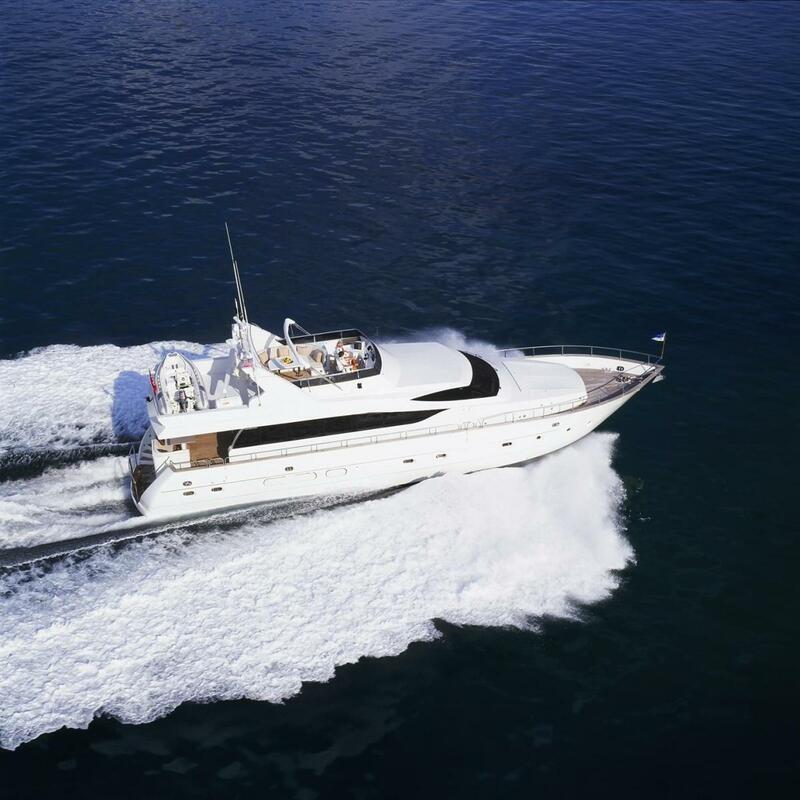 Notable features of the E84 Euro includes a spacious walk-in engine room, a formal dining area, swim platform and a floating, spiral staircase providing inside access to the fly bridge.